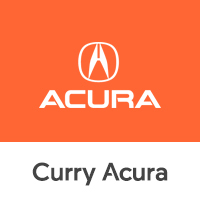 Based in Scarsdale, New York, Curry Acura has a stunning selection of used cars and SUVs that you’re sure to love. Whether it’s the powerful Acura MDX or the sleek Acura TLX, we have a vehicle for you. Browse through our used inventory, and call us to get behind the wheel of one of our quality used vehicles. Come visit our Scarsdale, NY Acura dealership today for an exciting test drive you’ll never forget. At Curry Acura, you can count on us to always deliver a low price on our used and new Acura vehicles. We use internet market value pricing to ensure our prices always stay among the most competitive in the area. Check out our used inventory specials for other great deals. After you’ve researched your ideal vehicle, be sure to head back over to our handy payment calculator to figure out what your monthly payments will look like. Regardless of your current credit situation, the professionals at our Scarsdale, NY auto finance center can help you drive home the used car that you’ve been looking for. Call or visit today, and we’ll show you how simple it can be to purchase your next vehicle. If you’d like to get the process started from home, fill out our secure auto finance application now.